Young Abe Lincoln is all dressed up in his best suit and on his way to deliver an important speech. As he walks along, he finds a pig stuck in a mudhole. Abe hates to see any animal suffer. If he helps the pig, his clothes will get muddy. What would people think of a mud-covered speaker? Abe doesn't want to leave the pig stranded, but he has no other nice clothes to wear. So, he continues down the road toward town, feeling guilty. He knows a pig isn't a person, yet it still seems wrong not to help. 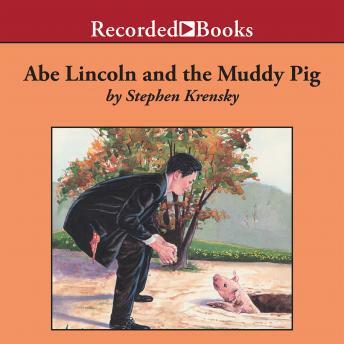 Stephen Krensky, the popular author of the Lionel books, bases this story on an old folk tale about the former president. It provides a gentle lesson about making sacrifices to help others. Ed Sala's homespun narration carries listeners back to another time.